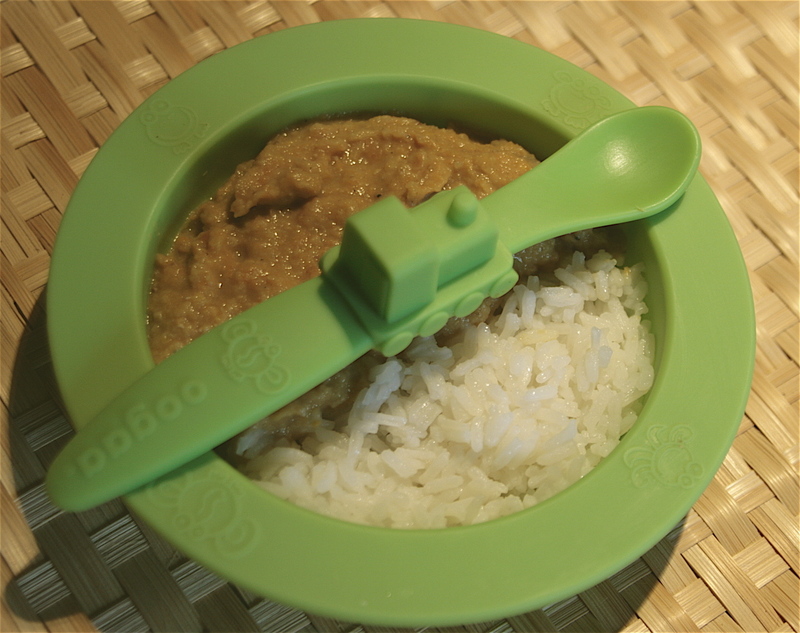 Sweet Potato Daal for Babies & Toddlers! In launching my series of baby and toddler food blogs in conjunction with Oogaa feeding products, I thought it only right to kick off with my own two little monster’s favourite baby purée, a simple gently spiced and fragrant sweet potato and lentil daal. As wee babies they both adored their lentils and just couldn’t get enough of them, though admittedly the nappies were sometimes a little on the interesting side! I’m a firm believer in introducing flavour and spice into a babies diet from a very young age to prepare them for the big world out there, though obviously going extremely easy on any chilli with the very little littlies. Heat the oil in a saucepan on a low heat, add the onion, garlic and ginger. Saute for 5 minutes until very soft, stirring regularly so nothing catches. Add the carrots and sweet potato to the pan and continue to cook for a couple of minutes. Now stir in the cumin, coriander and pepper and allow to cook for a minute before pouring in the water and lentils. Bring to a simmer, and cook on a gentle heat for about 20 minutes until the lentils are mushy and vegetables very soft. Purée with a Baby Bullet, stick blender or processor and serve. 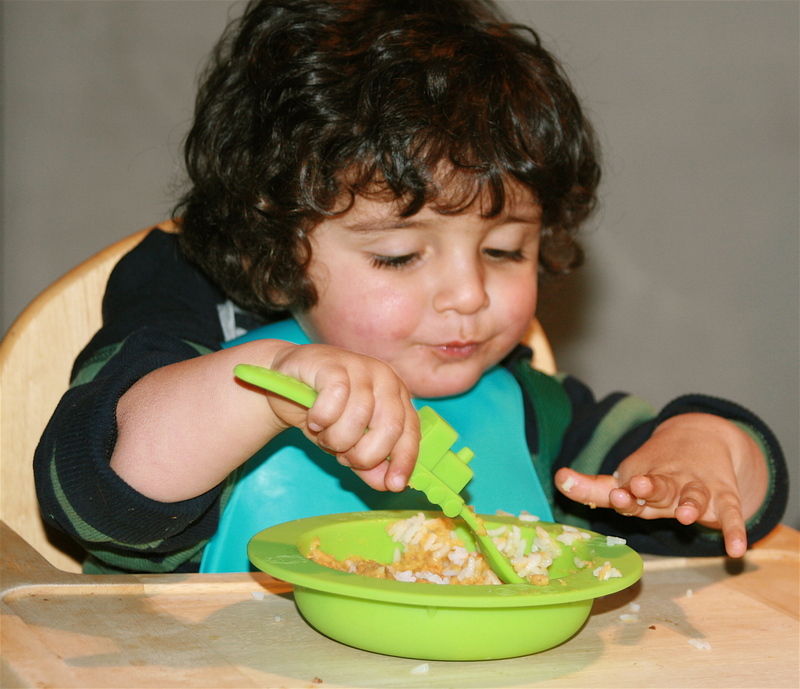 Here’s Jacques chowing down on his rice and daal, he still loves his lentils now! This entry was posted on Monday, April 9th, 2012 at 7:04 pm	and tagged with Carrots, Ginger, Indian, Lentils, Sweet Potato and posted in Baby Foods & Weaning, Toddlers & Pre-schoolers. You can follow any responses to this entry through the RSS 2.0 feed.